Scheuermann’s kyphosis, first identified in 1921, is a spinal condition involving at least three wedged adjacent vertebrae of 58 curvature or more. The typical age of onset is between 8 and 16 years; it is estimated that this condition affects 1-8% of the population, with about a third also developing scoliosis. Curvature of the spine may progress over time, causing pain. Treatment options for Scheuermann’s kyphosis include watchful waiting, exercise, bracing, and surgery. 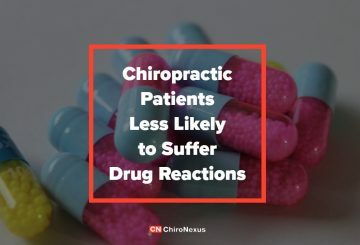 While chiropractors are in a position to care for patients with this condition, studies of chiropractic treatment of this disease are uncommon. A recent case study sought to add to the knowledge of chiropractic care for the treatment of Scheuermann’s kyphosis. An 18-year-old man with Scheuermann’s kyphosis sought treatment after experiencing thoracic spine pain for more than six weeks. He had been taking medication for four years for kyphotic spinal deformity. Postural analysis showed decreased thoracic flexion and postural kyphosis. The treatment plan included thoracic and cervical spine manipulation three times per week for eight weeks, along with physical therapy including core stability and postural exercises. Post-treatment examination showed improvements in retraction of shoulders and anterior head carriage. The benefits of chiropractic treatment for this spinal condition may include pain relief and postural correction. More research is needed to determine whether chiropractic care can stop or correct the kyphotic curve. Given the risks of back surgery and the potential of non-compliance with bracing, conservative chiropractic treatment offers another treatment option for patients with Scheuermann’s kyphosis. Boysen JC, Silverman SL. Chiropractic management of a patient with Scheuermann’s kyphosis. Clinical Chiropractic 2012; 15: 5-9. Written by: Megan Churchwell on February 28, 2013.Modified on March 12, 2013.